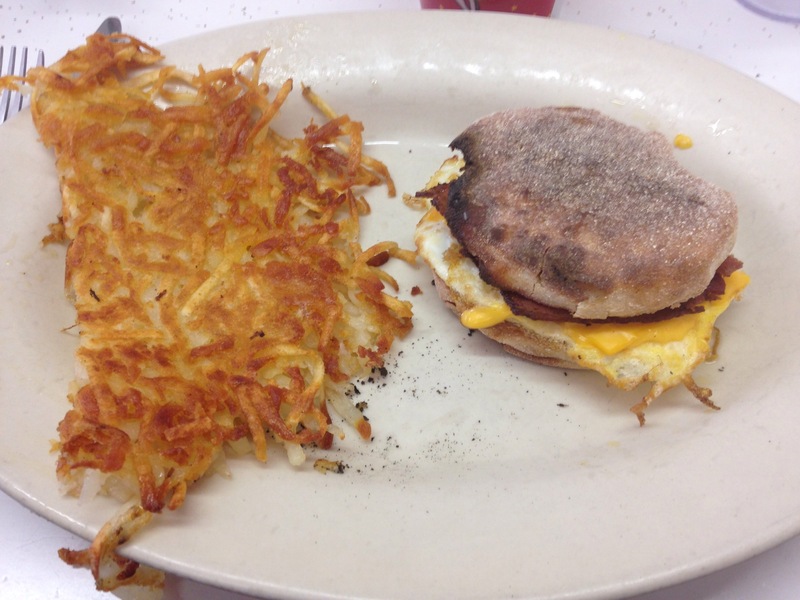 Just down the road from our new apartment lies the little breakfast treasure, Eddie’s Cafe. Known for their fast service and vintage style mugs, this is definitely my kind of place. We went on Saturday morning, so it was packed when we got there. To be fair, there’s only about 6 small tables inside, so “packed” is probably like 20 people. But thanks to the fast service, we got seats at the bar within 10 minutes of waiting. 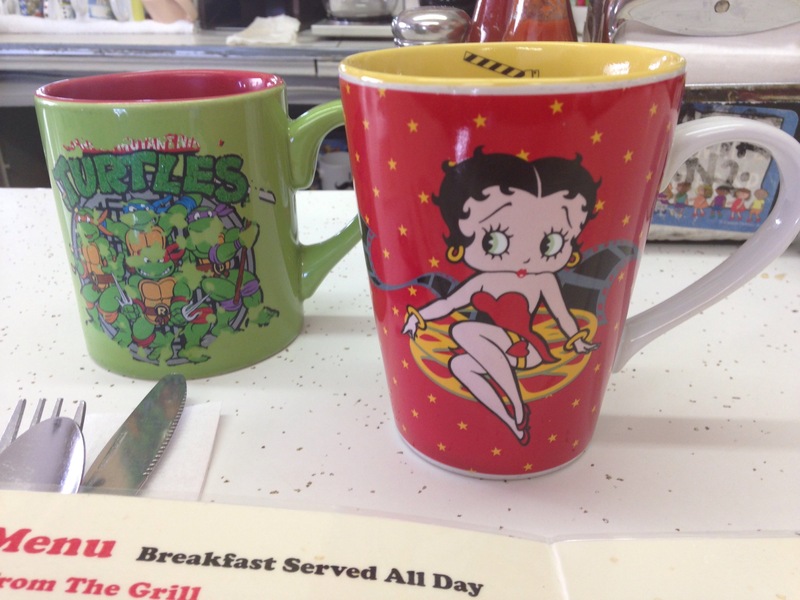 Their charm is in these mugs. These mugs! They’re not vintage like cool vintage…they’re vintage like they probably went to 15 Goodwills and raided the mug department. The kind of mugs you’d find in the back of your grandmothers cabinet. And then the food! It’s no-nonsense, down to early, honest to goodness breakfast fare. I’d recommend it. 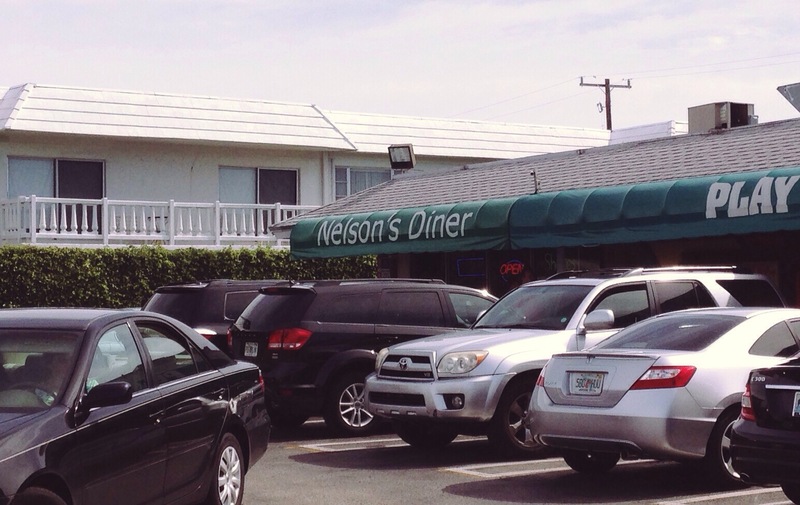 Welcome to the cutest little eatery in Pompano Beach: Nelson’s Diner! 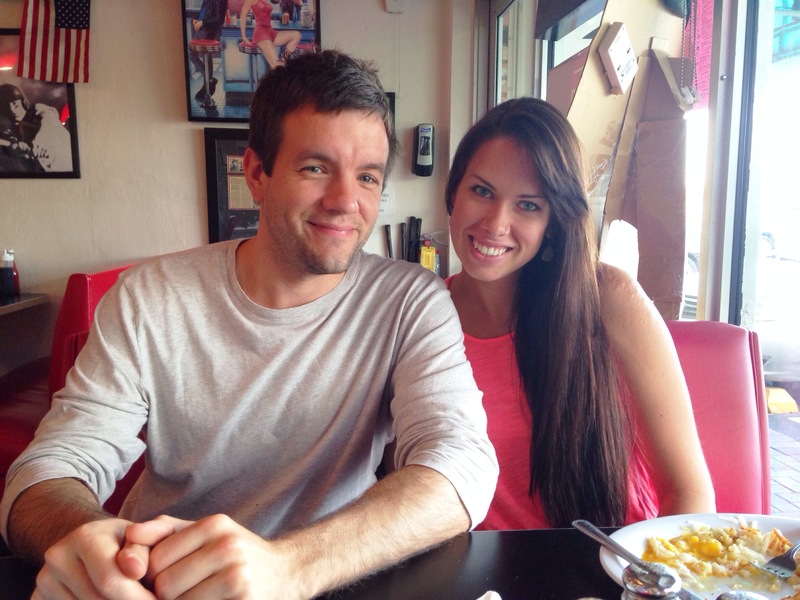 Recently Adora and I set out to check out some local spots to grab breakfast before work, and once we went to Nelson’s, we didn’t go anywhere else. It’s that adorable and delicious. 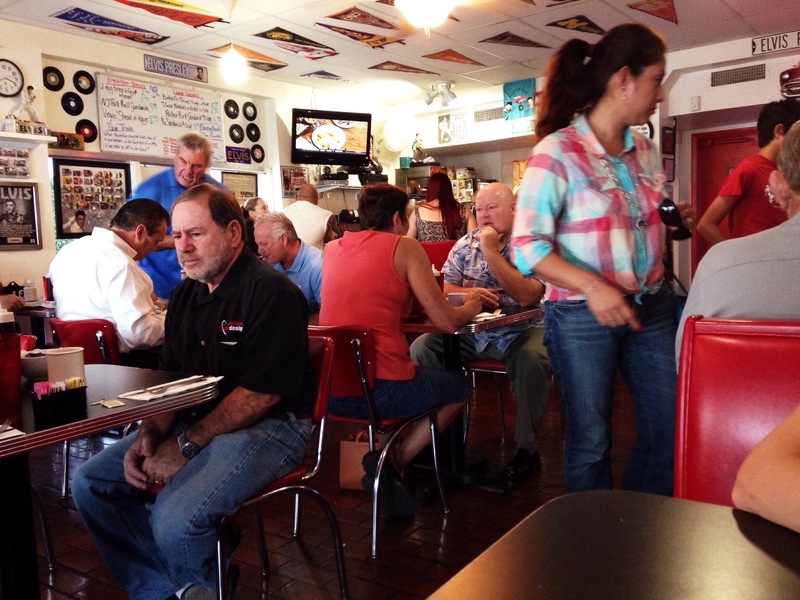 The place gets hopping in the morning, and you see the regulars sitting at their regular booths at the same time every week. It gives a big city that small town, everyone-knows-everyone kind of feel. Oh, and Elvis stuff is everywhere. I mean, everywhere. 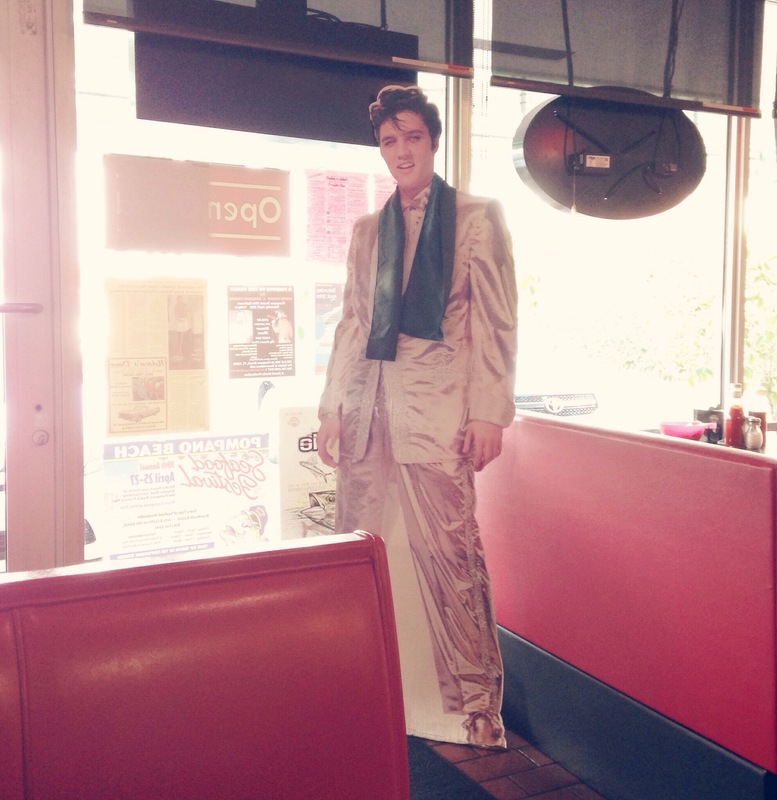 Including this cardboard cutout, an Elvis bust/clock, Elvis posters, an Elvis street sign, you name it. And the music is from the 60’s, which adds to the adorableness. When Jim was in town, I had to take him to this little piece of small town heaven. 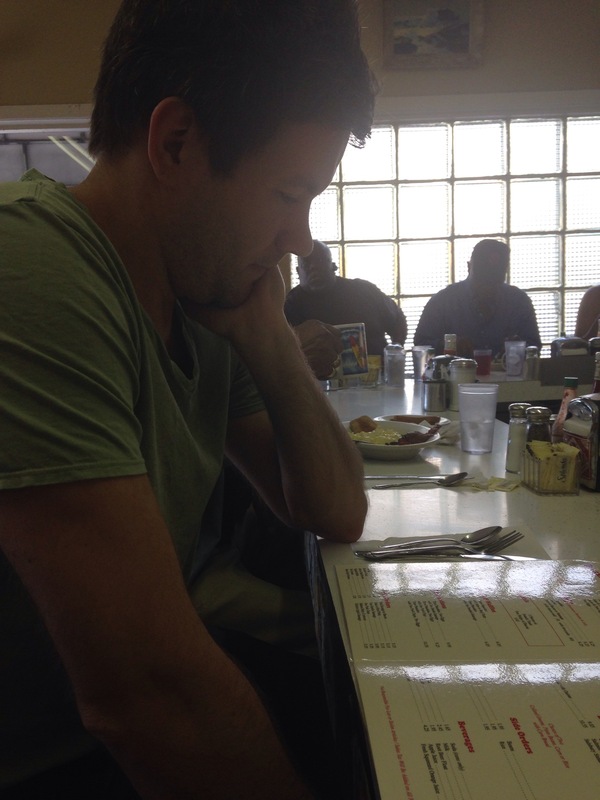 He approved the grits and gravy, and since he’s from the Carolinas, he’s an authorized authority on such things. 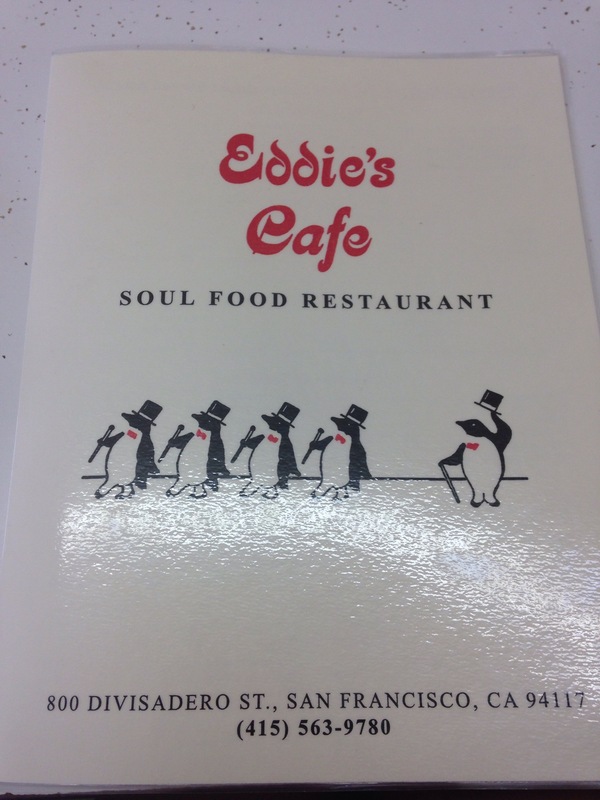 Where’s your favorite little eatery?